Love both OneNote & Evernote. For different reasons. 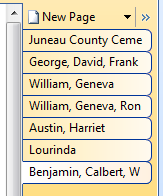 I'm always on the lookout for new ways to use OneNote for genealogy.